I put my heart into every bridal design I create and have often referred to my clients as my Headpiece.com daughters. It became amazingly clear that my designer heart was captured designing for my own daughter's wedding. 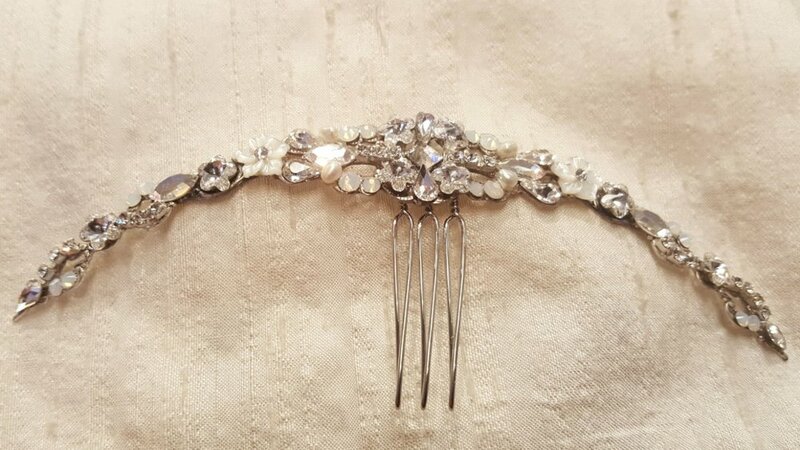 Many brides search their family treasures to find something old to include on their wedding day. Brielle wasn't looking for the traditional family jewelry or wedding handkerchief passed down through the years. Brielle wanted her "something old" to be a reflection of our family history. She used her great-grandmother's mirror which was hand engraved by her great-grandfather, once an engraver for Tiffany and Company. I think of Brielle as a modern day Grace Kelly. The graceful design of Lea-Ann Belter's Valentine silk wedding gown and Jaqueline lace jacket are classic, romantic, and timeless with a fresh newness. It was everything Brielle had hoped for. Brielle originally overlooked this gold rope and diamond bracelet when considering what to wear for her "something borrowed". She circled back around loving that it was gold and a part of our family for so many years. Something blue can happen in a snap at Headpiece.com. We offer handmade blue silk garters and have sewn blue Swarovski crystal into the bride's wedding gown. Brielle had decided early on she wanted her "something blue" incorporated into her headpiece design. The light blue sapphire crystal we added was so subtle and so incredibly beautiful! Our design journey began with the quest for the perfect wedding shoes. The requirements were..silk, open toe, manageable heel, and an elegant bow. They were nowhere to be found---in the entire world! Brielle and I began following Bella Belle Shoes on Instagram. Their shoe styles are feminine and romantic. I assured Brielle we could achieve what she was looking for by modifying their beautiful shoe. I added a softly sculptured bow made from silk to the tip of the open toe. Light blue sapphire and 14K gold were the perfect dotted finish for the bow. This same design idea was replicated on Abbey's flower girl shoes. Brielle allowed me a bit a creative freedom in designing additional accessories for her maid of honor and flower girl. This is always my favorite way to design. She told me she wanted a touch of gold and for the accessories to tie into hers. Aubrey's statement earring by Ti Adoro Jewelry was beautiful when combined with a bit of Headpiece.com gold and Swarovski crystal. Her make-up by Krista from Avenue 42 Style Studio was pure perfection! I love to design separate components and then assemble them in a completely unique way working them into the hairstyle. The creative options are endless. You can arrange the pieces in so many different ways and come up with something incredible each time. It is like designing to the tenth power! 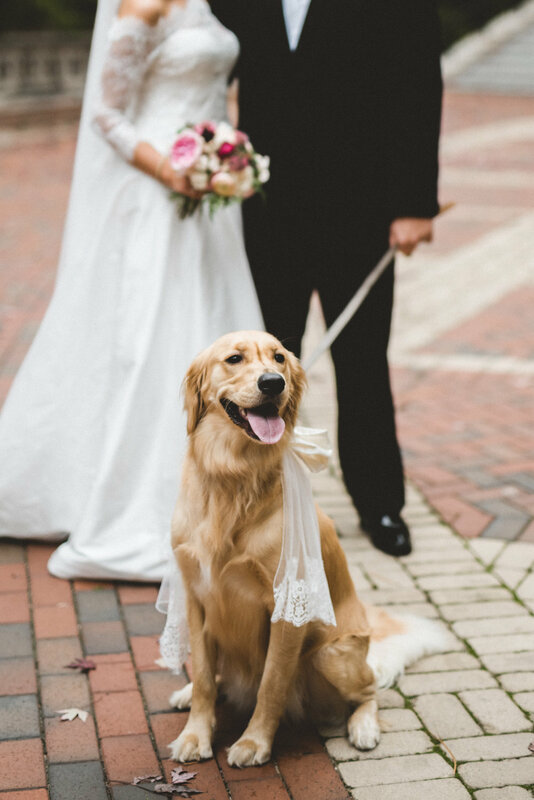 There were no fresh flowers for this exceptional flower girl! Abbey's Avenue 42 upstyle was adorned with 14K gold, Swarovski crystal, and smoked opals. 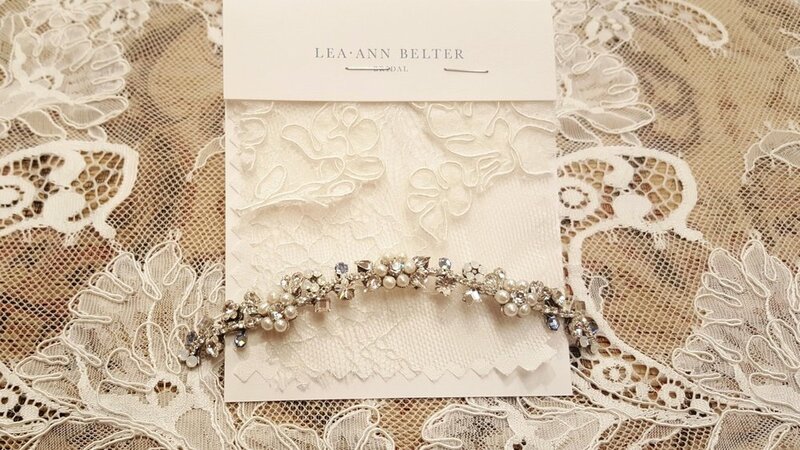 Lea-Ann Belter was so kind to provide us with a tiny piece of lace from Brielle's wedding gown bodice to create a custom sash for Abbey's flower girl dress. The tails of the sash were made from the same silky netting and French lace I used to design Brielle's veil. Abbey's sash was a perfect custom finish for her silk "Melody" dress designed by Isabel Garreton. The silk ring pillow was also designed using lace remnants from Brielle's wedding gown. The tailor's tack stitch is always the best way to fasten real wedding rings to the ring pillow. Our handmade ring pillows are so beautiful they can be used for home decor or in a nursery after the wedding. I love the tradition of using a ring pillow especially when made from fabrics of the wedding gown. Abbey and Remy were picture perfect! Designing my dress became the biggest stress of the whole wedding! I found that I had little time for me and felt time was running out. Headpiece.com was bustling with so many great clients and they came first! 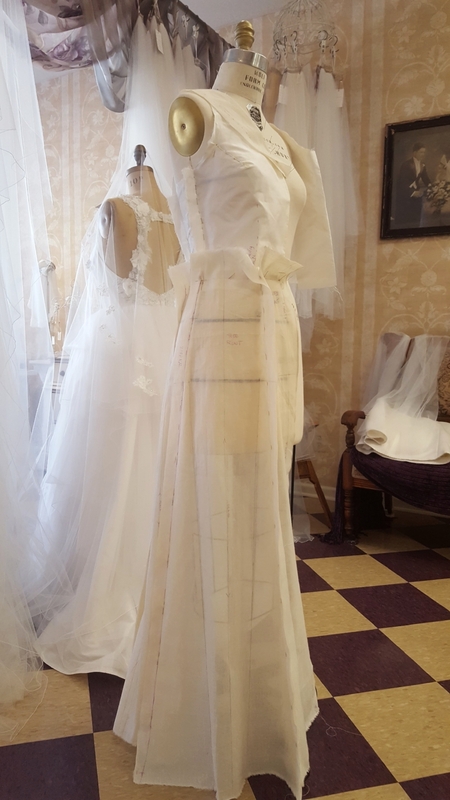 I began draping my dress design just two weeks before we had to leave for Richmond. My dress form was slightly bigger than me and I began to lose weight from non-stop everything. This was not a good equation! I knew every detail and color embellishment I wanted for my dress.. The beading on my collar took over six hours to stitch and the beaded belt loops took three hours. I wanted a Jackie Kennedy style with a menswear influence. I handmade the buttons and belt buckle The soft toned palette of gray, ivory, and taupe was in my mind from the beginning. My skirt was made of iridescent silk taffeta with a metallic silver and ivory French lace overlay. I loved everything about it! My dress was everything I wanted. It was soft. It moved. It was understated. It was me! When it came to her bridal accessories, I told Brielle I would create anything she wanted. I remember our conversation discussing her vision for her bridal veil and headpiece. She said, "Mom, I want something simple." The word "simple" in my field can mean many different things. She had the world of creative thought and design expertise at her fingertips. Would her idea of "simple" and my idea of "simple" be the same? This was my first attempt at simple. Brielle planned a classic chignon hairstyle. A back piece made of freshwater pearl, opal, and Swarovski crystal would be a perfect beginning. This back piece was even simpler but made with the tiniest freshwater pearl flowers. This is my version of simple plus lace. Brielle came up for one weekend to finalize her hair accessories. My original "simple" design prototypes were a little too simple for her... and that made me happy. Together we created an incredible combination of accessories that would be like no other. It was my decision to make her two of the same exact headpieces. She would wear the first for her ceremony with a hand sewn cathedral veil and the second for her cocktail hour with a hand sewn waltz length veil. Switching them out would take one minute after the ceremony and would be hassle free. This way Brielle could enjoy wearing a shorter version of her lace veil for the beginning of her reception. This was my favorite design idea for her wedding day! I created flexible wire hair sticks made of 14K gold and all of her favorite embellishments to be threaded into her classic chignon hairstyle. This photo is of her second headpiece and veil during the beginning of cocktail hour. While Brielle expressed she wanted simple for her ceremony, she wanted a statement headpiece for her entrance into the reception. Why not when your mom is the owner of Headpiece.com? This third headpiece was incredible! I think it lit up the room with more ambiance than the lighting in the tent. The style had an edge while also being classic and refined. 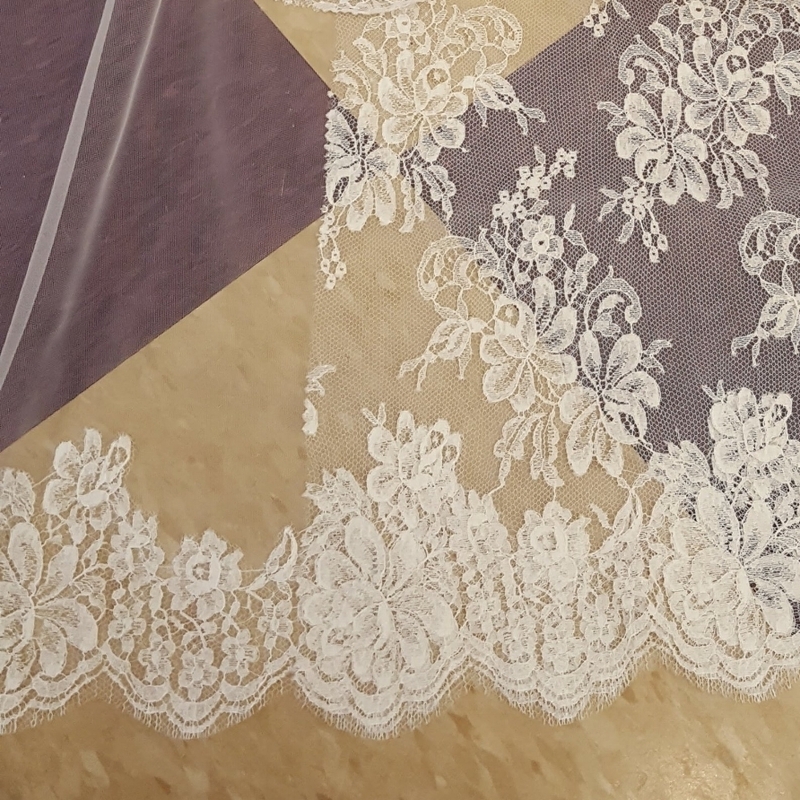 French lace and imported European net were our starting point for the bridal veil design. They are the crème de la crème in my fashion design book. The lace and net are so soft you can sleep in them. I offered Brielle choices in lace patterns. These were among my favorites. She told me she trusted my judgement. Brielle fell in love with the idea of a two-tier cathedral length veil. This veil was my first draft. We brought it to Something Bleu Bridal to try on when she picked up her wedding gown in Saratoga Springs, NY. While this is by no means a professional photo, it is one of our favorites taken in their brand new accessory salon. When Alex got down on one knee and proposed to Brielle, he had a ring in one hand and a puppy named Paisley in the other. It was only appropriate that Paisley had a veil custom designed to match her mama's on their wedding day! So many brides take their veil off after the ceremony. I always suggest wearing it through the cocktail hour or having a separate veil designed to capture moments like these. Brielle said, "I think I would like the centerpieces to be the names of Richmond streets." I replied, "I have an idea!" As soon as Brielle mentioned Richmond street names this popped into my head. I drew a quick sketch and we agreed it was a great idea! But now we had to make them. 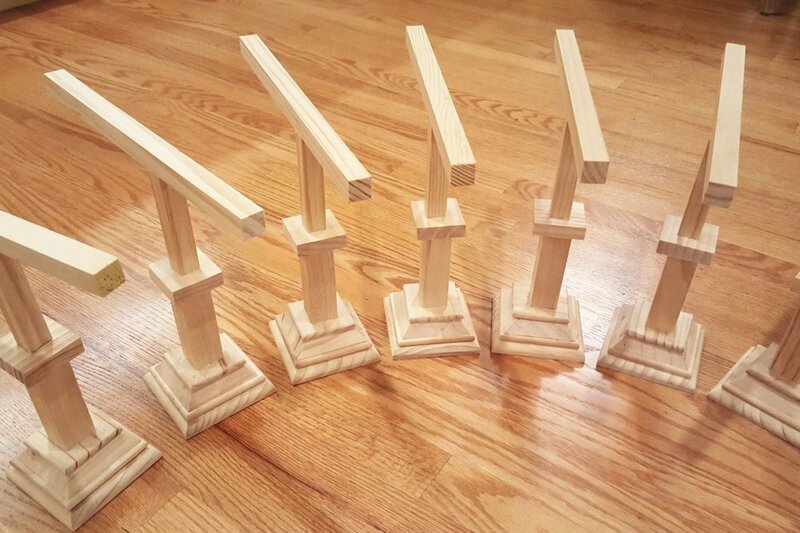 I called on my eighth grade woodshop skills to get me through phase one. Brielle wanted the signs to look like an old fashioned street sign in ivory with black lettering. My incredibly talented sister, Kathy, provided the graphics and printed the signs. Jeff painted the wooden frames and then we tediously assembled them. We completed four. Only nineteen more to go! The perfect tablescape! Simple, elegant, and completely original! A special street sign was made for the bride and groom table. I am pretty sure this table was reserved for University of Richmond alum. 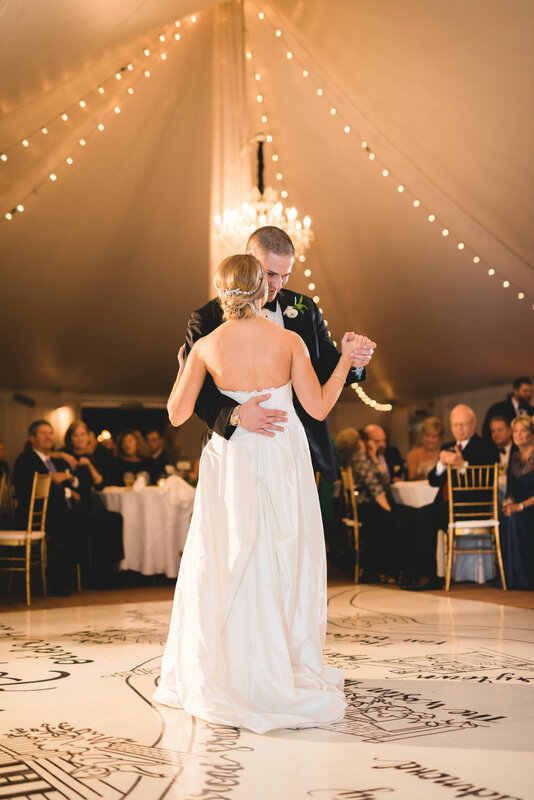 The custom dance floor is still the talk of the wedding! it has captured the interest of bridal magazines and blogs. My bridal client, and owner of Bombshell Graphics, turned me onto the idea of a custom dance floor when she began telling me about her business. The idea was incredibly cool! Brielle and Alex thought it would be amazing if we could create a dance floor that worked with their Richond theme. I began sketching! Pearl in Richmond was where they had their first date. I drew the Richmond icons on an 8x10" piece of paper and finessed my renderings in fine ink. We only had a few weeks to pull this artistic masterpiece off. I overnighted the final drawing to Brielle and she did all of the hand scripting in ink. She overnighted it to my sister, Kathy, a graphic designer who prepared the file for large format printing. Bombshell Graphics printed the dance floor and we brought it down to Richmond to be laid. My 8x10" ink rendering was almost complete. RVA Graphics and Wraps laid the dance floor with precision. The transformation from parquet to art was night and day. Everything had to match perfectly and in alignment. These guys knew what they were doing! Historic Mankin Mansion is an incredible wedding venue all by itself, but when the dance floor was completed this venue looked like a million bucks! Brielle's silk wedding gown glided across this amazing floor like that of a princess dancing at the finest ball. While it may seem that we did so much for this wedding ourselves, these are the women who put all the pieces together. They assembled our dreams and made our wedding day storyboard come to life. Katie is the master wedding planner at Historic Mankin Mansion. She provided impeccable service and guidance with precision. As a designer, it is not always easy for me to let go of my creative ideas and let someone else finish them. Katie was masterful at creating the final wedding day scene with the utmost confidence. 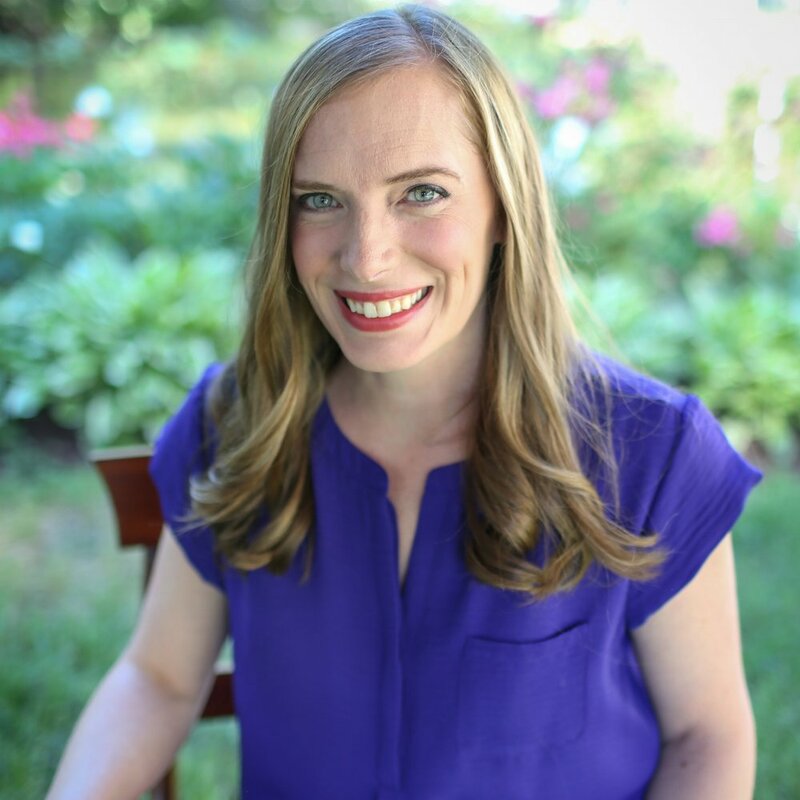 Her artistic eye and attention to detail is an incredible asset for this top Virginia venue. 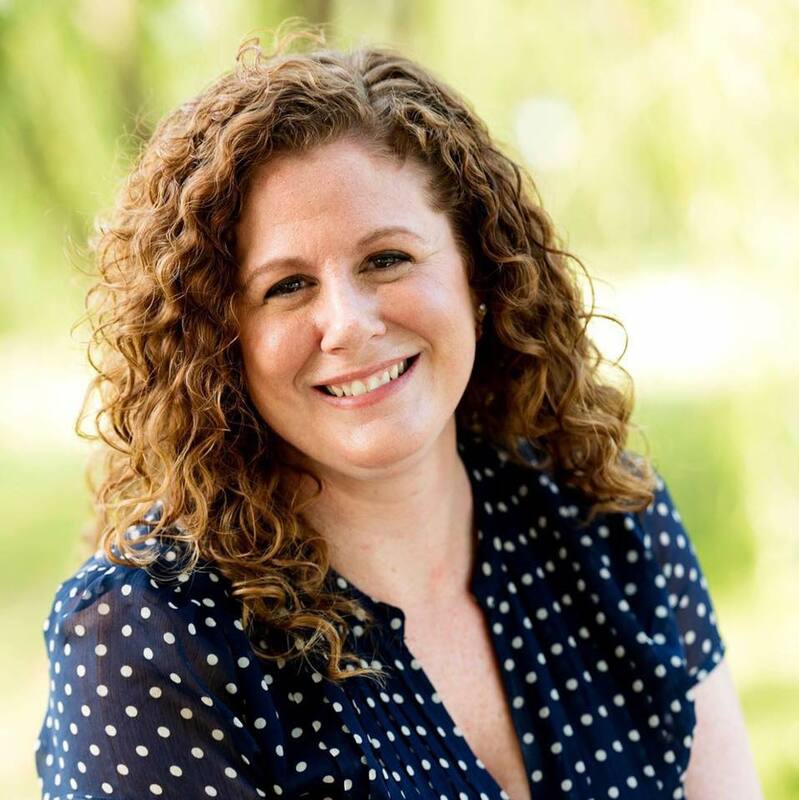 Andrea, from Marylee Marmer Events, was Brielle's same day wedding coordinator. She kept everyone on schedule, organized the bridal party at the chapel, and took care of all private possessions. She was the person Brielle and Alex could count on to help with anything and everything on their wedding day. Marylee Marmer, owner of Marylee Marmer Events, has been planning weddings and events for over twelve years. Marylee assisted us during the final wedding planning stages at Historic Mankin Mansion. Her events have been featured in Richmond Bride and Richmond Weddings along with top blogs including Borrowed and Blue. Our final planning meeting at Historic Mankin Mansion left us feeling at ease. All of the details were in the hands of three very capable and experienced wedding planners. We have featured the work of Something Blue Films in our past two blogs. Zach Boyd, owner of Something Blue Films, has provided us with his third and final video highlighting the Maffett wedding day. This film is different than the others. It truly highlights what is important. I spoke with Zach a few days ago when he released this to me for the blog. I asked him to tell me what made this film so different. You can see some more of Something Blue Films on Facebook and Vimeo. I highly recommend them to all of my brides. They film from Virginia to Martha's Vineyard and beyond. Ask me about our experience when you visit Headpiece.com and we will help you connect. On this Valentine's Day enjoy a little bit of love, family, and my designer heart! When Your Dress is a Mess! ---Our most informative blog yet!!! !